Fall in love with this unique & lush Key West themed, maint free community! 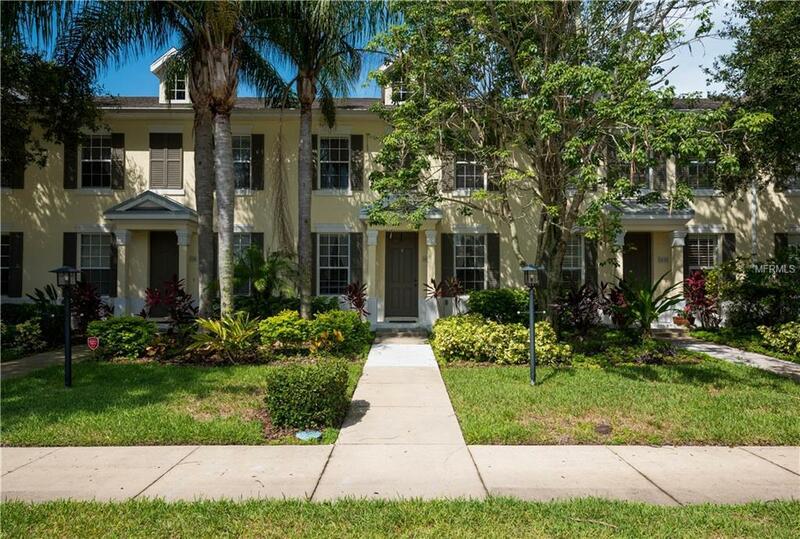 This 3 BR/2.5 BA townhome is light and bright during the day, w/plenty of recessed lighting at night. The newer engineered wood flooring throughout the lower level lends a rich, warm feel from the moment you enter. You also have a full-size laundry room as well as 1/2 bath. Off the living room is a spacious courtyard perfect for entertaining! (It also connects to the detached 2 car garage).The kitchen offers granite countertops, an ample amount of cabinetry w/plenty of storage space, a breakfast bar as well as a breakfast nook, PLUS a separate dining room. Retreat upstairs to the master suite w/2 closets & attached master bath, 2 guest bedrooms, and a full bath. Harborage on Braden River is a small, charming waterfront community with a mixture of condos, townhomes and single family homes. Feel as if youre coming home to a resort w/all of the features youd expect from an upscale waterfront community. Marina w/wet slips & boat lifts equipped w/water & elect avail on 1st come basis & can be reserved annually or monthly. Other amenities include nature trails, fishing pier, canoe/kayak storage & launch; resort style pool/hot tub w/ poolside grill; fitness room. This is a unique community perfectly situated on the Braden River off SR70 midway between downtown Sarasota and Bradenton, w/ample shops, restaurants and entertainment. Less than 30 minutes to our gorgeous Gulf Coast beaches as well. Come and check out this hidden gem today!